There is something extraordinary about the grandeur of Restoration Oaks Ranch. 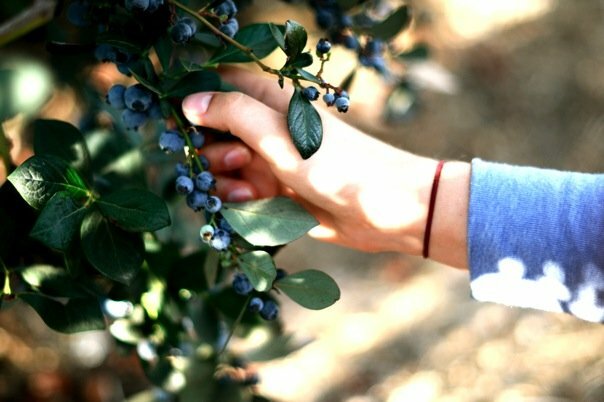 Walking among the 18 acres of blueberry bushes nestled in between rolling hills of majestic oak trees is at once peaceful and exciting. Remarks like "Wow, look at the size of this one!" or "Mama, this one is red inside" can be heard during a blueberry-pickin' day. On a good day, you can easily pick 2.5 lbs of blueberries in 15 minutes. You may spot a magnificent red-tailed hawk soaring not so high overhead or, if you are lucky, a black-tailed deer grazing under the oaks outside the bird netting. We encourage our guests to taste the fruit right off the bush, and we guess some of the kids who come back to pay for their barely full bucket have more berries in their belly than the bucket, as evidenced by the blue tinge at the corner of their mouths. Excellent fun. 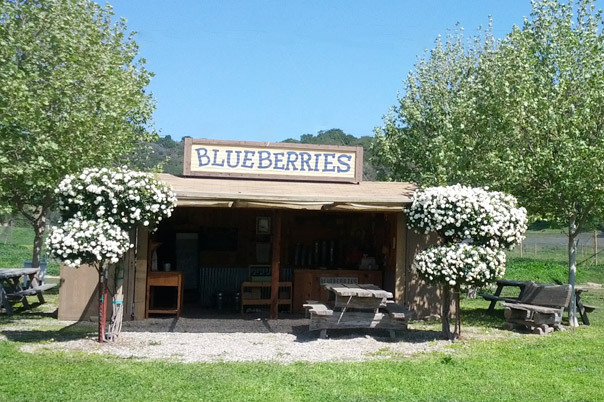 Blueberry UPick season is always June and July every year, and if the weather is good, we may open as early as April and have blueberries into August. After many surveys of our regular pickers, we planted 6 varieties of raspberries that will be ripe and ready from August through October. 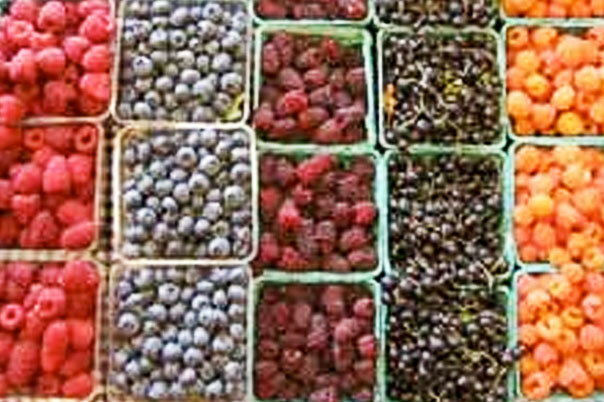 We will also have watermelons, cantaloupe and other fun fruits and veggies for picking in the late summer and fall. Every year, we open the fields for a day or two in the off-season to our registered VIP guests. The select fields will be open, even though the freeway signs will say "closed". We've had these VIP private field openings as late as Dec 10th. To participate in our private field openings, add your name to our "berry special" VIP Email list.